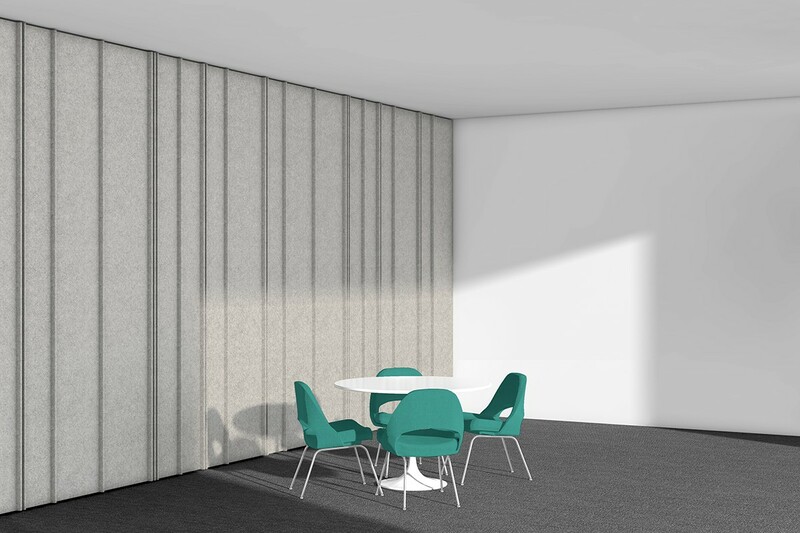 ARO Plank is a wall system composed of modular planks that assemble to create standard patterns, yielding a continuous, acoustically absorptive architectural finish. ARO Plank 4 has three distinct modules: Wide (A), Narrow (B), and Rib (C). Flat planks are accented by ribs, creating a striped, corrugated effect and are available in four standard configurations. The planks install quickly and easily with FilzFelt’s Interlock Mounting System and are available in 62 colors.